Endsleigh Insurance is an insurance intermediary that specialises in graduate, student education and sports markets. Many unions have used Endsleigh Insurance loyally since its creation in 1965 by the National Union of Students (NUS). Endsleigh offers a wide selection of insurance products including car, home and student insurance for landlords. Endsleigh has more than 500,000 customers and is owned by Zurich Insurance, it is the officially approved insurer of the NUS. You can contact the Endsleigh Car Insurance customer services on 0844 248 2782. You can get in touch with the Endsleigh Car Insurance customer services department if you are struggling to log into your online account and would like to reset your password, when you call 0844 248 2782 a member of the team will ask you a series of questions to verify your identity. You can also call the customer services department if you need to inquire about certain things regarding a policy you are looking to sign up for as well as any complaints you have about there services. When you insure your car with Endsleigh you can buy the insurance online or over the phone where you will be offered the best insurance quote relating to your circumstances. There is a great range of benefits that you can find with Endsleigh car insurance including savings of 10% off servicing and 20% off MOT costs and a replacement car included as standard in the event of an accident in comprehensive policies. Along with all of their benefits, there is a large list of optional extras that can be added to the insurance policy you choose. The extras include breakdown cover, legal expenses, excess protection, key cover, personal accident cover and a hire car. It is easy to get a quote with Endsleigh and you have the chance to save a quote you have been given to review again at a later date. You can get in touch with the Endsleigh Car Insurance head office which is based in Gloucestershire on 0844 248 2784 to speak to a member of the team about any corporate questions you have or if you feel that a complaint you have made has not been dealt with correctly. If you are hoping to pursue a career with Endsleigh insurance then it is easy to make an application for one of many jobs within the company. 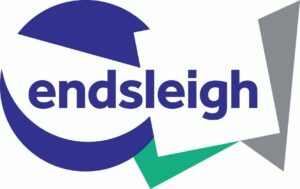 When you visit their website there is a whole section dedicated to jobs within Endsleigh, offering all sorts of information about what it’s like to work for the company. They have a graduates and apprentices section that shows the career opportunities they have for people who have just graduated or are looking for an apprenticeship to begin their journey into the working world. It’s easy to apply for a job with the company as you can easily search through the latest jobs and also for specific jobs if you know what you would like to do on their team. If you feel like there is more that you would like to know about the application process for a job with Endsleigh insurance or if you have already applied for a job with the company and would like to know how your application has been received then you can call the head office on 0844 248 2784 for help. Endsleigh provides car insurance specifically for students which means that any customers that are students are offered special policies that work for them. As Endsleigh was founded by NUS which you can guarantee means that students are at the heart of everything they do. Their student car policies include a courtesy car with comprehensive policies, theft cover with third party fire and theft and comprehensive policies among many other policies. Their optional extras include breakdown cover, legal expenses, excess protection, key cover, personal accident cover and a hire car. Endsleigh also offers student car insurance for international students because they understand how hard it can be moving countries to study and want to make things easier for you however they can. Their cover includes European Union no claims bonuses accepted, theft, damage or loss of your vehicle, damage to windscreens and loss or damage to any fitted audio equipment and navigation systems. Their optional extras are the same as the usual extras and are available for all of their customers. To inquire about either of these policies you can call the student helpline team on 0844 248 2783. Endsleigh also offer company car insurance within their many car insurance policies, as they ensure that your company car is properly protected and won’t cause your business any trouble if anything were to happen to it. They give their customers the chance to cover lease vehicles and company vehicles for a minimum 12-month lease at affordable premiums and offer a wide range of optional extras to add to their policies. Endsleigh like to ensure that their customer’s vehicles are covered no matter how permanent the car is, even when the car doesn’t belong to the customer. Many companies don’t insure people on lease cars because they believe that the driver must own the car that they are driving, but Endsleigh is happy to be outside of this example and provide insurance for anyone in any situation. If you have any questions about Endsleigh’s company car insurance then you should call 0844 248 2781 to have them all answered by a member of the Endsleigh team. If you are interested in taking up an insurance policy with Endsleigh and would like to find out how much it would be for you to join Endsleigh Car insurance you can contact their quotes team. Once you have received your quote you can discuss it with a member of the team and possibly sign up. If you are unhappy with the quote you can also discuss this with the team and possibly receive a discount, contact the quotes team on 0844 248 2778.